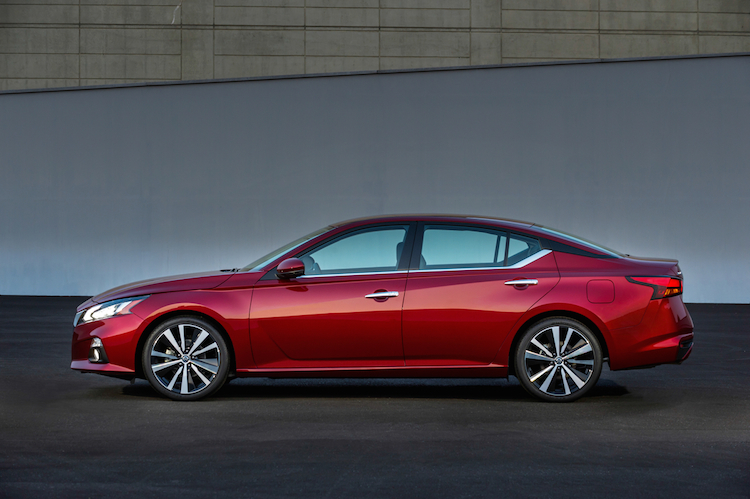 The Altima carries the fight forward, adds available all-wheel drive. 2019 Nissan Altima offers available all-wheel drive. Car manufacturers find themselves in a bit of a quandary — do they continue to build more crossover utility vehicles as customers demand or do they hedge their bets with their tried-and-true sedans? When it comes to the top manufacturers, they are doing both. Indeed, with Honda rolling out a new Accord and Toyota is staying with the Camry, both manufacturers have shown their commitment to the segment. Further, Chevrolet has a fairly new Malibu sedan in its lineup, while Ford has chosen to refresh its Fusion for 2019, instead of abandoning the segment. As for Nissan, it is full steam ahead with its popular Altima sedan. Like competing models, the Altima has lost sales to a crossover, namely the Rogue — now its top-selling model. But the 2019 Altima taking a bow at the 2018 New York International Auto Show today demonstrates Nissan will stay in the segment. It may be a wise move too as other manufacturers leave the segment or hold off on their updates. No matter, the new Nissan Altima gives car shoppers a fresh take on the segment and arrives ahead of the next-generation Rogue, itself likely to debut in one year. The sixth-generation Nissan Altima offers a handsome visage, with a modern take on Nissan’s trademark horse-collar (V motion) grille. It is two inches longer between the wheels, is slightly wider and sits a bit lower to the ground. Available in five trims — S, SR, SV, SL and Platinum — the 2019 Altima goes on sale this fall. 1. Two new engine choices. Nissan bids farewell to its 3.5-liter V6 engine, at least with the 2019 Altima. Most models will come with a new version of Nissan’s 2.5-liter four-cylinder engine, now generating 188 horsepower and 180 pound-feet of torque. It is a high-compression engine paired with a continuously variable automatic transmission. The other engine choice is a 2.0-liter turbocharged inline-four with an output of 248 horsepower and 273 pound-feet of torque. This engine, too, is paired with a CVT. The turbo isn’t an ordinary unit either — it offers variable compression, a world first. Specifically, the engine seamlessly changes its compression ratio from 8:1 for high performance to 14:1 for efficiency. We’ll make a deeper dive of this technology in a future write up. 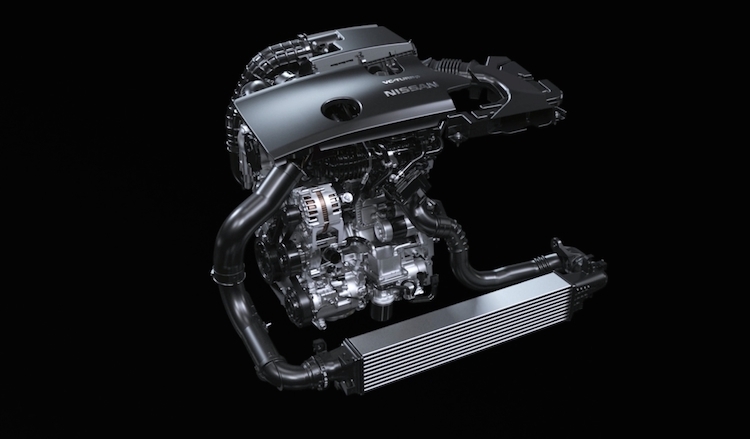 Nissan’s new variable compression turbo engine. 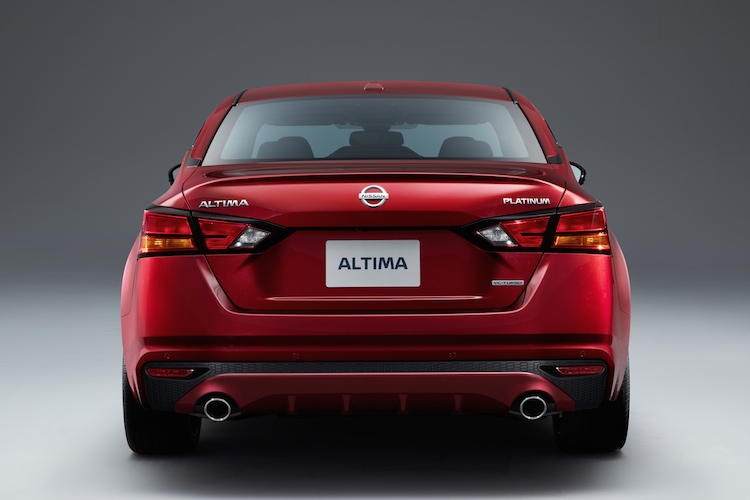 The Nissan Altima has always been a front-wheel drive model. Beginning in 2019, all-wheel drive now becomes an option. Subaru, with its all-wheel drive Legacy and Ford with its available all-wheel drive Fusion, are the only two other models where power can be sent to all four wheels. What’s interesting about Nissan’s all-wheel drive quest is that it is available with the base engine only, not the turbo. The turbo would seem like a logical choice, given the big power sent to the front wheels. That said, Nissan has done a good job of mitigating torque steer in its front-wheel drive models with 301 horsepower at the ready. 3. A roomy and fresh interior. Just as the exterior benefits from a beautiful, new design the interior does likewise. 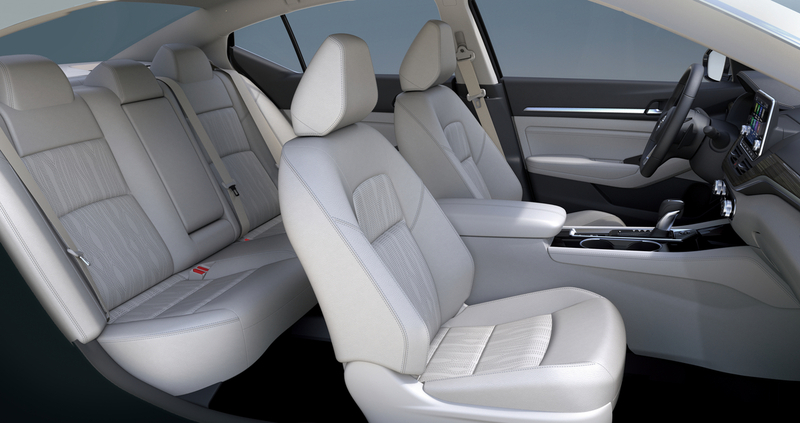 This sedan seats five in comfort and seems more open than before. Nissan says the key elements here are the sedan’s “gliding wing” instrument panel and high-contrast colors and trim. You’ll find a range of materials and accents, depending on the trim. The center stack features a standard seven-inch color display, with an eight-inch display available. Cloth seats give way to leather seats in higher trim models. On the tech front, Apple CarPlay and Android Auto smartphone compatibility are now standard. You’ll also find Siri Eyes Free, Google Assistant Voice Recognition, Apple Watch and Android Wear, and Amazon Alexa Skill compatibility. Manufacturers are embracing autonomous vehicles in a big way. Although full autonomy is likely several years away, automakers are introducing the important elements today. From Nissan we have ProPILOT Assist, what the company says is “more intuitive and user-friendly” when compared to traditional systems. Activation is as easy as pushing a blue ProPILOT Assist ON button, then sets the adaptive cruise control system once the desired speed is realized. This two-step process helps drivers stay centered in their lanes, while maintaining a safe distance behind the vehicle directly in front. If necessary, the system can automatically slow the 2019 Altima to a full stop, then resume once traffic begins moving again. Rear automatic braking is also new this year, automatically stopping the sedan if an object is spotted behind the vehicle. 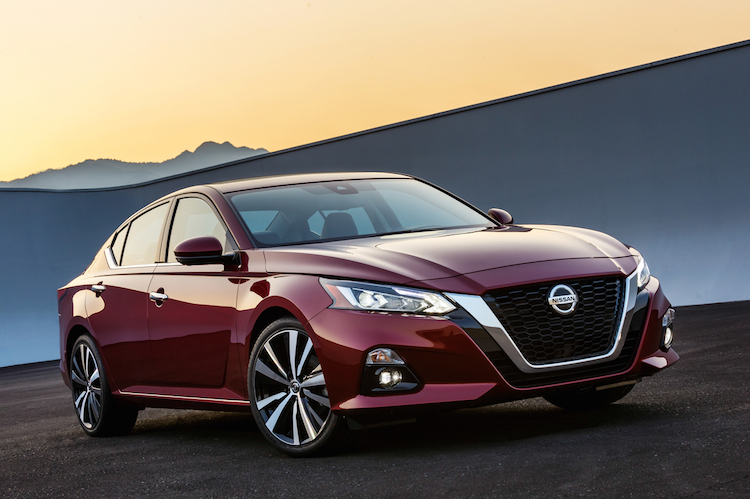 If first impressions about a new vehicle tell you something, we like what Nissan has done with the 2019 Altima. Sure, we could wish for a cogged automatic transmission, but that won’t happen. The paddle shifters included in the SR grade will have to simulate those steps for you. The all-wheel drive option is the biggest surprise, as we expected the turbo engine. 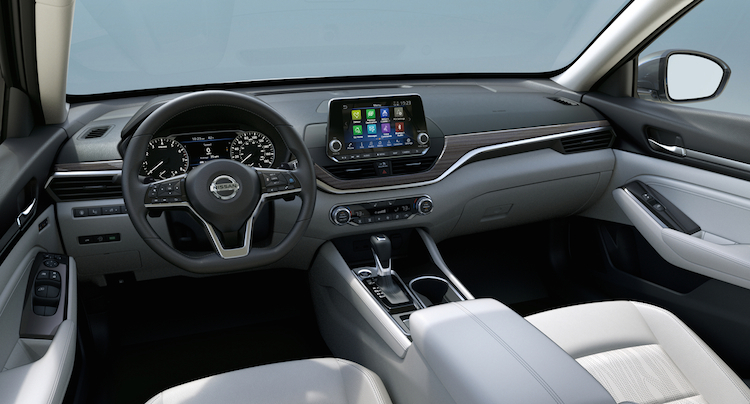 All in all, the 2019 Altima is proof that Nissan remains committed to its midsize sedan for yet another generation. Photos copyright Nissan North America, Inc. All rights reserved.